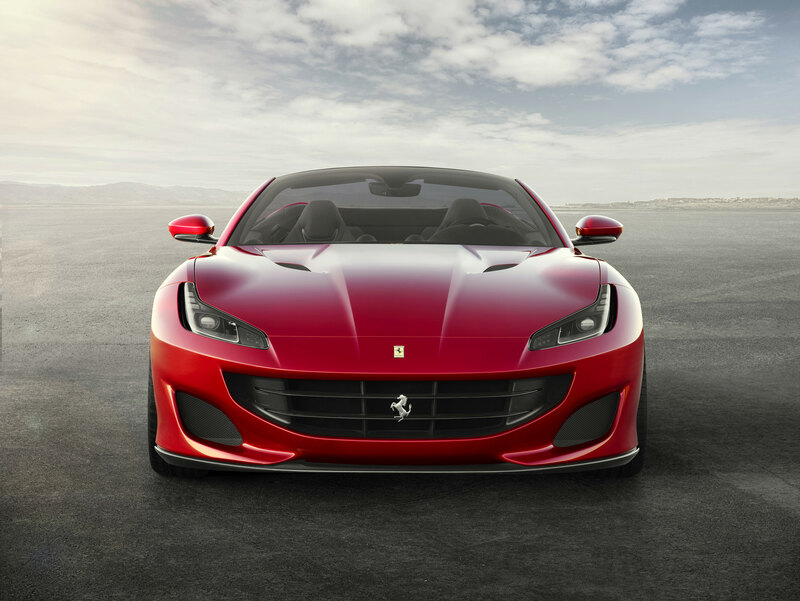 Now Reading : Discover the new Ferrari Portofino just before next Frankfort Auto Show! 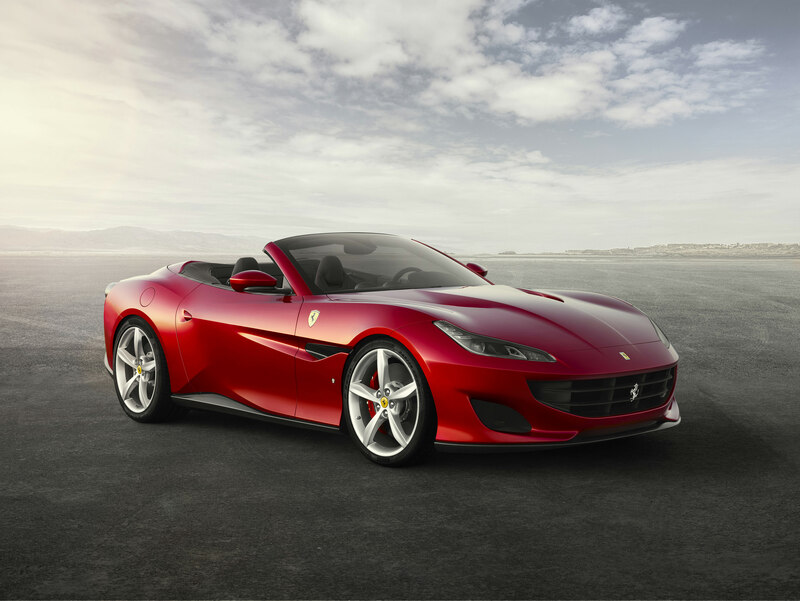 First, if the new model is called “Ferrari Portofino” it is for a good reason. Indeed, the new supercar’s name was carefully chosen to remind one of Italy’s most elegant city, Portofino. All around the world this town evocates modernity, luxury and elegance and so represents perfectly this new V8 GT and vice versa. And that is why the new colour is called “Rosso Portofino”. Ferrari Portofino’s second innovation is undoubtedly its emblematic V8 that has been improved and is now totally unique. This one now delivers 600 ph and can reach 0 to 100 km/h in only 3.5seconds…an extraordinary prowess for a convertible model that is now the most powerful but also the most spacious and the most comfortable. Ferrari Portofino’s V8 is also associated with the Variable Boost Management that allows to regulate the power of torque depending on the chosen speed. This brings the new model unparalleled power but also considerable fuel savings. Then concerning equipment and dynamism we can also speak about the third generation electronic differential that appears for the first time on such a convertible and is integrated to the F1 Trac system or again the EPS system that is installed for the first time on that kind of vehicle. 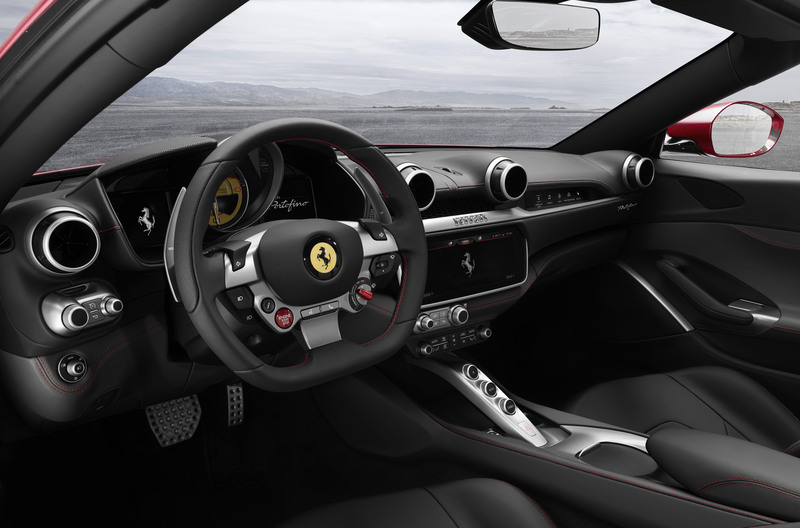 Ferrari Design’s teams put all their know-how in the car’s silhouette and Ferrari Portofino’s interior. Then the convertible appears to be more aggressive, but always so elegant with a two-level fastback configuration that is even more dynamic. Ferrari Portofino’s calender appears larger than the previous models thanks to new horizontal LED lights that extend on its nose. Concerning the hard top, it perfectly hides under the new rear silhouette and can be activated at low speeds. Finally, Ferrari Portofino’s interior has also been carefully improved as it brings more comfort for passengers including rear passengers. It also offers a new infotainment system with a 10.2“ touch screen, a new steering wheel for better handling and also 18 positions folding seats or new air cooling systems. Rear passengers will also discover more space and their own screens during travels while appreciating a reduce airflow even when the roof is open. 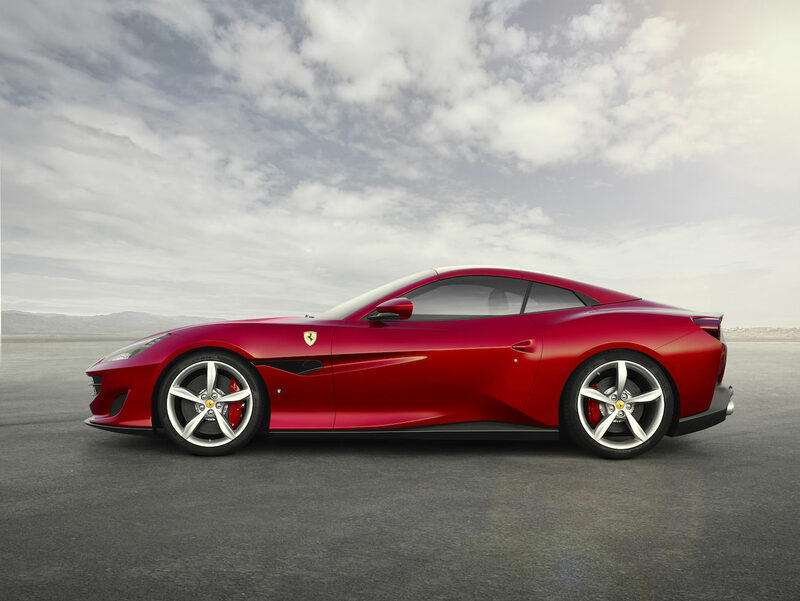 Ferrari Portofino still keeps many surprises from amateurs but they will be able to discover all of them during next Frankfort Auto Show in September! Share the post "Discover the new Ferrari Portofino just before next Frankfort Auto Show!"